The Trials series has become a global success, gaining fans worldwide all of whom are enamored with the special kind of gaming experience that can only be found in a Trials game. It’s not quite a racing game, it’s not quite a puzzle game, it’s not quite a side-scroller, but it is a Trials game. Now here we are with Trials Fusion the latest and greatest installment in the series and it builds upon and takes the formula of the series to greater heights than ever before. Trials Fusion is quite a heavy game, it is absolute jam-packed with content and that becomes immediately apparent from start-up. The second you open up the game you are bombarded with a multitude of options, modes and menus. It is a lot to take in and requires a bit of leg work to navigate your way to something you want to do. It was a little difficult to figure out where the start but it seems the best place to kick things off is in the game’s career mode. Progressing through the career mode unlocks vehicles, tracks and a multitude of other goodies for you use in the career mode and outside of it. Unlocked vehicles carry over to the online parts of the game as well as local multiplayer to boot. The career tasks you with taking on challenges and completing tracks with a reward system based on medals coloured bronze, silver and gold. At its core, this is a racing game with puzzle elements. To make certain jumps you must perform a certain trick or build up a certain level of momentum or none at all. There is a lot of depth in this regard that will get you thinking in a complex way about how to approach each stage in order to gain the greatest results. The game itself plays quite simply with triggers being associated with acceleration and breaking, whereas the control stick commands your characters leaning behaviours, whether he leans back or forward. The balancing part of leaning makes for a detailed mechanic that can be tricky to master but easy to grasp. 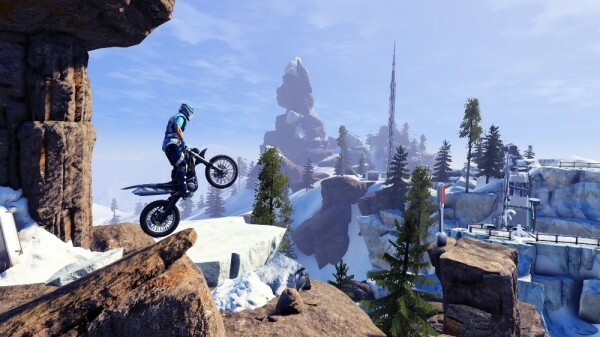 It is all part of the mastery of the simple yet complex game that is Trials Fusion. Also featured in the game is a detailed creation tool that allows you to develop and craft your own tracks which can then be uploaded for the world to see. 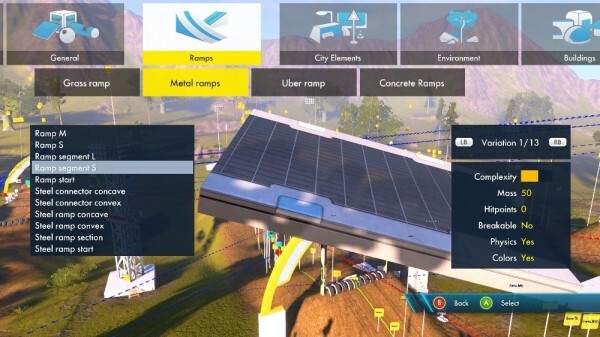 This sharing ability allows for a great deal of creative flair among the community of Trials Fusion and gives a near infinite level of playability to the game as new players are constantly building new tracks for you to tackle. 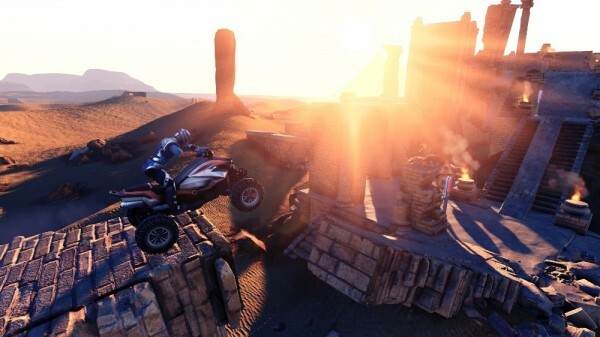 On top of the creation tool is the multiplayer aspects of the game which have you compete side by side with other racers. The match ups are generally scored by least crashes and final placing in the race. It makes for a lot of chaotic fun when multiple players are letting loose and going nuts with it. It is truly fun and that is Trials Fusion’s M/O: pure fun. 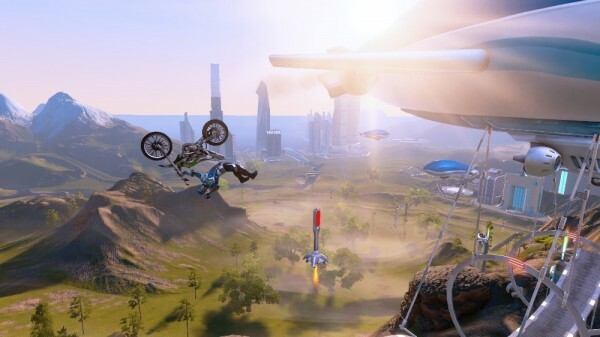 As far as visuals go, Trials Fusion has a rather unique aesthetic, mixing between rugged country terrain and hyper futuristic utopias. The graphics are crisp and nicely presented, the mash up of styles creates a memorable and lasting image giving Trials Fusion a distinct look that will stick with you long after playing. The flurry of lights and colour is gorgeous and the various terrains are all very well done. 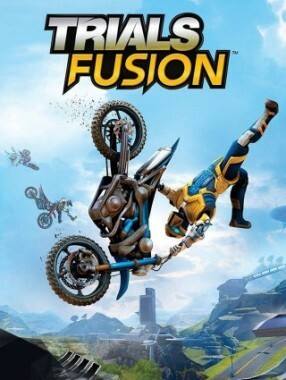 The soundtrack for Trials Fusion is likewise very well made and it happens to feature the unforgettable theme song of the game ‘Welcome to the Future’ which will burrow its way into your consciousness and set up camp. It is a catchy tune that captures the feeling of Trials Fusion perfectly. It caps off an all around great audio composition. Sometimes simple fun is all you need and for the most part that is what you get with Trials Fusion, a game that is simple by and large yet capable of immense levels of complexity beneath its surface. Ultimately it is an enjoyable gaming experience that is really unlike anything else on the gaming market right now. If you are looking for some addictive fun or just something different from the pack, Trials Fusion has your hook up. With this latest installment, the Trials series solidifies itself as one of the best IPs going today and quite a promising one at that. The future holds many possibilities for Trials and with Trials Fusion we get a welcome to that future. This game will knock your socks off so hard you won’t want to put them back on. Trials Fusion rocks and rolls.